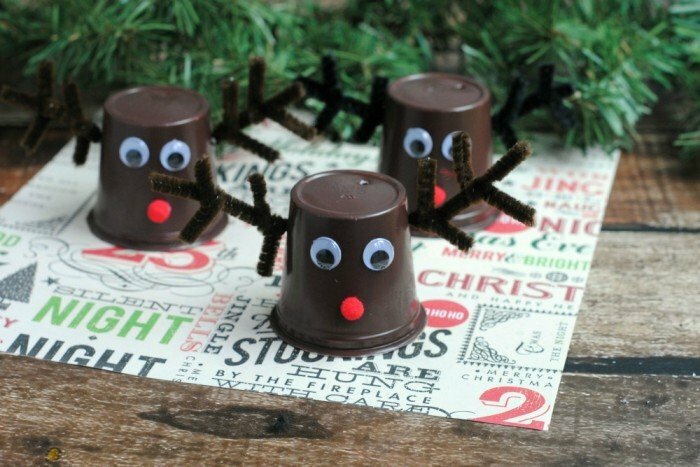 This Reindeer K-Cup Christmas Decor Idea is one of those amazing things only a real crafter like my friend Jill would come up with. Ask my family. They will tell you right away that crafts or artistic endeavors are just not my thing. I love them. I love attempting to make them. I never succeed. So, when I see one of my good friends sharing her idea like this – I beg to use it on my site. She happily agreed, and the rest is history! If you drink a lot of coffee and happen to use a single-serve coffee pot like a Keurig, you likely have thrown away a lot of empty K-Cups. 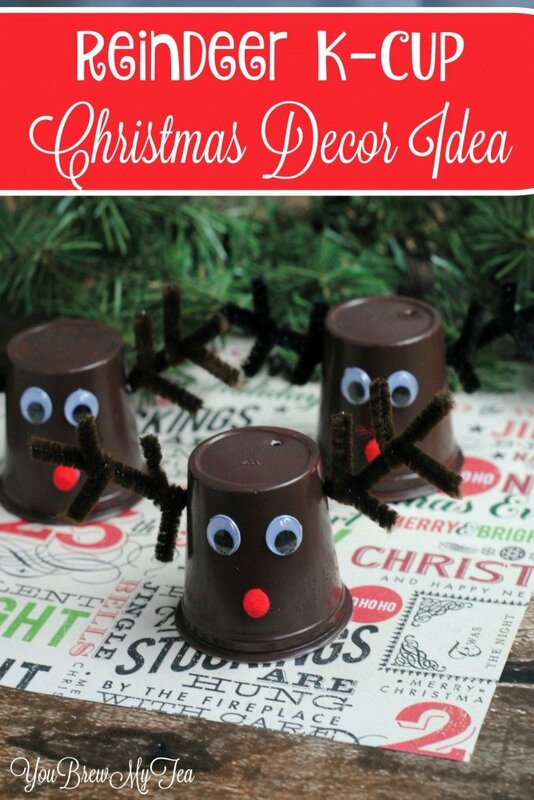 This Reindeer K-Cup Christmas Decor Idea is a simple and easy way to upcycle some of those cups for a cute decoration for your mantle or table centerpiece this holiday season. 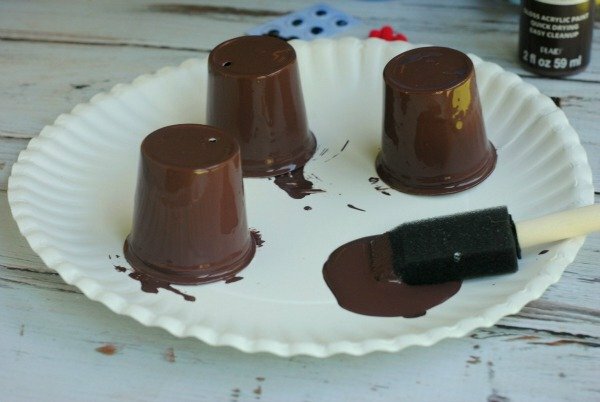 Paint your reindeer (K-Cups) brown and let air dry for several hours. If you are using a spray paint, you will want to do this in a well-ventilated area (preferably outside) with a mask to protect your lungs. Using a glue stick, give each reindeer a red nose and 2 eyes. See photo below for an idea of placement. Use scissors to cut the pipe cleaners to length for antlers. These are cut to 1 1/2″ -2″ in length and work great. You can then cut a 1/2″ section and wrap it around 2 of the longer pipe cleaners to make antlers. To place the antlers into the K-Cup, you can use hot glue, or a knife/pair of scissors to cut a small hole in the side of the K-cup to stick the antlers into. 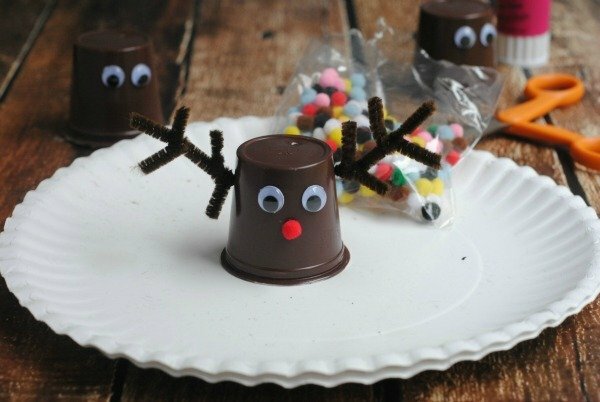 As you can see, this Reindeer K-Cup Christmas decor idea is super fun, cute and easy to create. I love sharing inexpensive and easy crafts because I feel like they are something you can realistically make at home without a bunch of supplies. Let’s face it, during the rush of the holidays – nobody wants to spend extra money on supplies. If you like this idea, check out some more of our favorite holiday decor ideas! 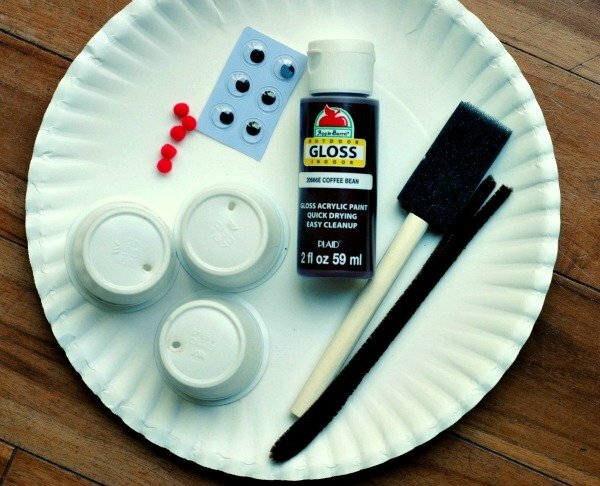 We love using inexpensive items and sharing easy instructions. These will give you some great places to begin creating this holiday season! Katie, these are just adorable!! Visiting from The 36th Avenue and pinning – hope you have a wonderful weekend! This is such a cute and clever idea. I never thought about using my old K cups for ornaments. Thanks for sharing! These are so cute! I love this idea – pinning! So adorable!! Thanks for linking up to More the Merrier Monday. Can’t wait to see what you’ll be linking up next week.